This jewel is ready for you to move into. Please see all the pictures. This home has been COMPLETELY remodeled from the floor to the ceiling. Beautifully designed kitchen with new cabinets, coffee bar, granite, stainless appliances and gas stove. The Mud Room has a floor to ceiling built in bench. The Game Room could be a fourth Bedroom or Office. Attractive Bathrooms with lovely vanity cabinets, tile work and lighting. All three bedrooms have walk in closets. New: tile flooring throughout, carpet in the bedrooms, lighting package, doors, trim, roof, fixtures and has been painted inside and out. Sits on almost half acre with a 12x24 Workshop. Mature trees in front and back. Landscaped. Back yard is fenced. Directions: Please see your GPS. 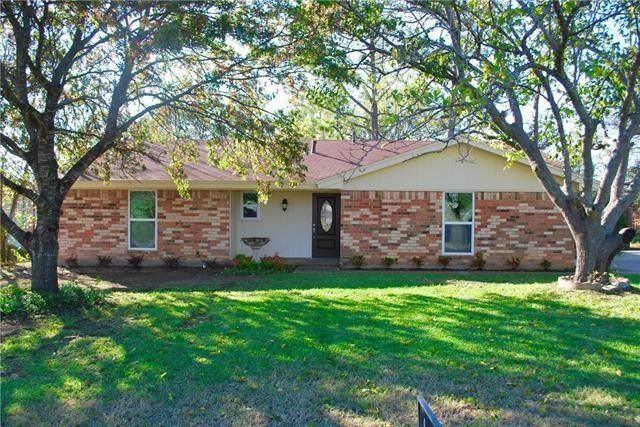 Travel west on 199 (Northwest Parkway), turn south on Live Oak Dr., the house is on the right, look for the sign.